Hafa Adai! Welcome to Dededo. Dededo is located in the northern region of the island. It is bordered by the villages of Tumon to its south and Yigo to the north. Dededo is also about a ten to fifteen minute drive from Andersen Air Force Base located in Yigo and about a five minute drive to the Naval Communications Station (NCTAMS), which is conveniently located in Dededo. For those working at Andersen Air Force Base or in the northern area, it is a very convenient area to live in as there is hardly any traffic traveling north bound in the morning and southbound in the afternoon. If you choose to reside in this area, you will be provided the benefit of convenience. You will be close to all the on-goings of the island. Dededo is a large village. It is so large that it is the second largest village on the island. It is heavily populated with a population of around 42,900. This is by far, the most populated village on the island. The area is a major commercial and residential community. All your general needs can be fulfilled without having to leave the village. There are many commercial businesses spread throughout the village including, but not limiting to, a shopping mall, movie theaters, a flea market, grocery stores, convenience stores, gas stations, restaurants, and more. For families with children, there are many public schools, private schools, and day care centers that are scattered throughout the village to add to the already high level of convenience this area offers. Even with all the commercial activity thriving in this village the area remains largely a residential neighborhood. There are multiple housing developments spread throughout the village. All the homes and apartments/condominiums are built to be strong and durable. In each housing development, you will notice they are similar in design and built close in proximity of each other. However, over the years some homes have been modified and enhanced through vertical or horizontal expansions. The area has been experiencing a lot of development over the years and is becoming an even more popular residential neighborhood. The area is really developing into a beautiful metropolis. 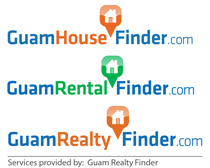 With Dededo being the most populous and second largest village on Guam, there are many fun and exciting things to offer. Dededo has a little bit of everything for everyone, from its wonderful shopping centers to the beautiful sandy beaches. There are always many activities to look forward to in the beautiful village of Dededo.